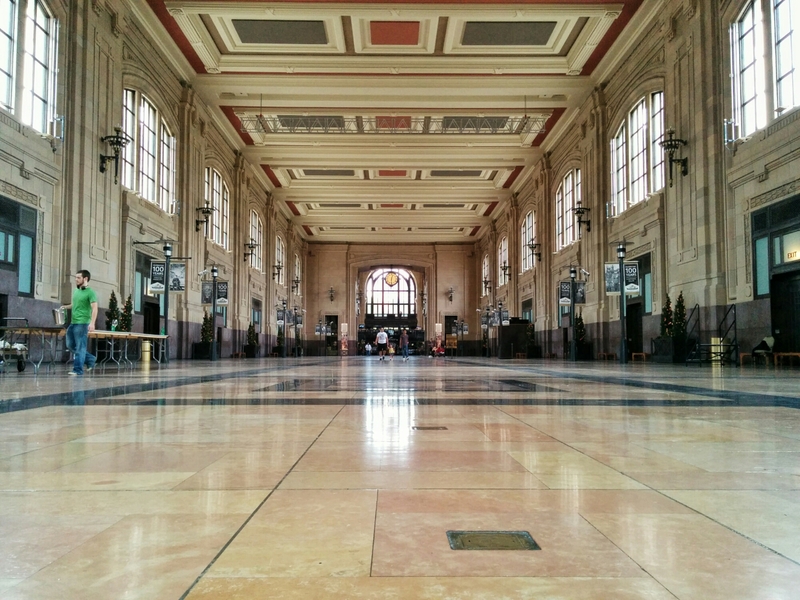 We visited the gorgeous Union Station in Kansas City on a walking food/history tour. This 850,000 square foot building, with original architectural details, is celebrating its 100th anniversary this year. The Grand Hall is stunning with 95-foot high ceilings, three 3500-pound chandeliers, and a 6-foot wide clock hanging in the archway. It also has a rich and interesting history. The notorious Charles Arthur “Pretty Boy” Floyd was accused of taking part in the Kansas City Massacre, in which FBI agents were killed by outlaws attempting to free their friend from federal custody. If you ever find yourself in Kansas City, you should definitely check it out. It’s a beautiful building and I’m glad the governments of both Kansas and Missouri saved it from demolition.